Sufis, who some call the hippies of Islam, have a history that is about a millennium old. The fact that Sufis are in some way connected to cannabis, is a matter of common knowledge, and yet, the mystery that shrouds the mystical ascetic called the sufi saint also hides the details of this connection. Understanding Sufism and its beginnings could help us understand their connection with bhang or cannabis. The Sufis strive to direct their entire consciousness toward God – and they found an ally in cannabis. Some Sufis believe that the altered consciousness generated through the use of cannabis can help them in the quest for enlightenment. Their affinity for bhang (cannabis) can be ascribed to Sheikh Haider’s passion for the weed. Sheikh Hayder (1155-1221) the leaders of the Sufis is considered to be the Sufi who first discovered cannabis. He used it for ten years and then when he died, he asked his followers to plant cannabis around his grave. He, however, had also cautioned them against letting the secret of this magical plant out so that only those who were smart enough to respect it as a portal to communicate with the divine, would use it. In fact, the Sufis have a patron saint of Cannabis – Prophet Al Khidr, who is known as the Green one, and the Sufis drink bhang (a drink made of cannabis) to honor him. Sufism is a mystical sect of Islam, which within the framework of Islam, focuses upon the spiritual union of man and God. While both the Sufis and the Muslims praise Allah, the Sufis place more emphasis on a spiritual connection with God through their ritualistic practices (instead of following the Sharia verbatim, as an orthodox Muslim would.) The Sufis believe that to experience proximity with God, the soul doesn’t have to leave the body. You can read more about the differences between Sufism and Islam here. Sufis are different from the orthodox Muslim in another way. While the traditional muslim is disallowed (by the Islamic Law) to participate in music and dance, the Sufis believe that music and dance help the spirit in uniting with God. The Whirling Dervishes or the Spinning Sufis worship God through the Sema, and try to reach perfection. The whirling of the dervishes has a deep religious significance. You can watch a Whirling Dervish video here. The Whirling Dervishes reach a state of ecstasy where they become oblivious to their surroundings and remain aware only of their spiritual state. With the sufi-marijuana connection in the backdrop, I wonder if cannabis has a connection with the whirling dervishes too? Sufism started in the 8th or the 9th century; it was in its infancy when Sheikh Haider discovered cannabis and shared his knowledge and love for it with his followers. Could it be that Cannabis and Sufism developed a bond that helped them both? The Sufis were wandering ascetics – quite like the Indian Sadhus. They went from place to place, they disseminated religious knowledge, thus they helped spread Islam. The first Sufis reached India a thousand years ago. They began arriving in Africa some eight hundred years ago. It’s interesting to note that five hundred years ago, Cannabis was being grown around the Cape of Good Hope and the Africans already had a name for it. They used to call it “bangue”! It sounds similar to bhang, the Indian name for Cannabis, which was used by the Sufis too. 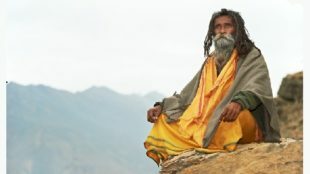 Is it possible that Shaikh Haider discovered Cannabis in the Himalayas, and then his followers took it along with them to Africa? And finally, can the Sufis be indeed called the hippies of Islam? A thousand years ago? Perhaps yes. A breakaway religious group that wanted to be free from the shackles of an unyielding religious framework – they sought spirituality and smoked Hashish. But a thousand years is a long time – today they have their own set of rituals, books, and institutions – and all this exists within the broad framework of Islam and so runs contrary to the philosophy that defines a hippie.